Every gelateria in the world has its own style, says Davide Gaglioti. "But really, gelato is gelato." 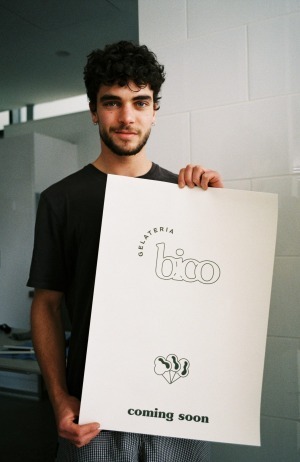 The budding gelatician and Carpigiani Gelato University graduate has opened his first store, Gelateria Bico, on Albert Street in Brunswick with his father, Domenico – also a Carpigiani graduate. "All you can do is use fresh ingredients and make your gelato fresh every day, which is what we do. Just try and deliver a good, quality product." 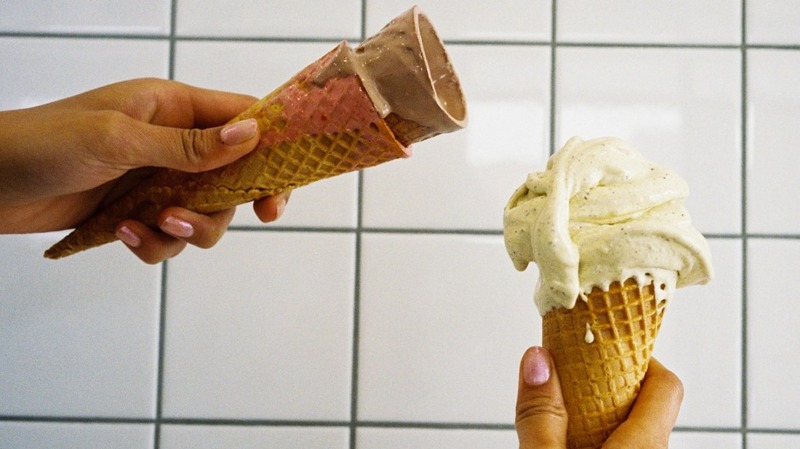 Although they both learned the craft in Bologna in Italy's north, the gelato they make at Gelateria Bico is closer in style to what you would find in the south. Domenico is from Pizzo in Calabria, where it is warmer and gelato is lighter, fresher and fruit flavours dominate. At Bico, this means that the menu is filled with flavours such as lemon, mango, pineapple, or ricotta and citrus. There are 10 signature flavours, plus two rotating specials each week. There are also two flavours of granita (watermelon and grapefruit at the time of publishing) and coffee is available all day. Aside from Domenico, Gelataria Bico's other Calabrian export is tartufi – frozen gelato-based desserts that the Gagliotis make in-house. The classic combines hazelnut and chocolate gelato with a chocolate-sauce centre, and there is also a lemon option. There is also ricotta gelato cannolis and lemon meringue tarts made with vanilla custard gelato. The shop itself is tucked into a new complex on Albert Street, Brunswick, near the corner of Sydney Road. Inside, it is all pastel-green-painted wooden panels, white subway tiles, a polished concrete floor and comfortable banquette if you'd prefer to eat your gelato in. ﻿Open Sunday to Thursday 1pm - 9.30pm and Friday to Saturday 1pm - 10pm.